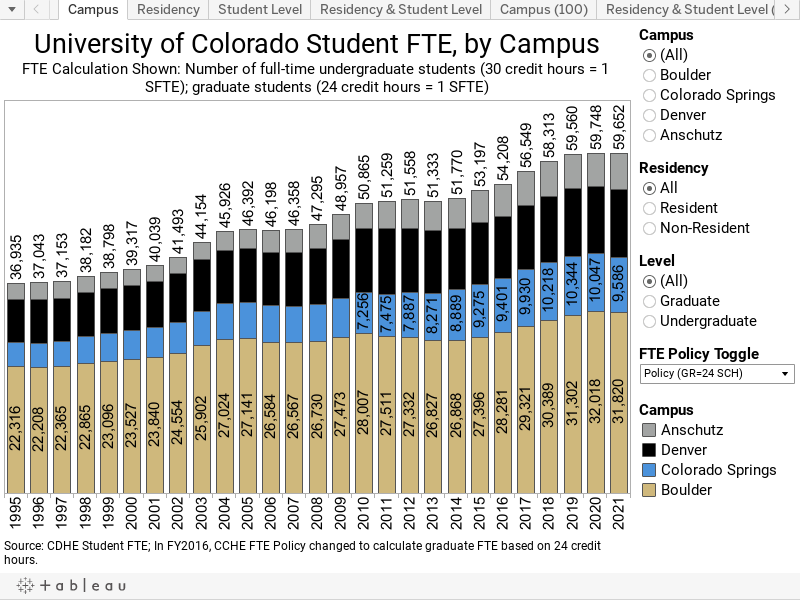 In accordance with Colorado Commission on Higher Education policy, student FTE is a calculation of total student credit hours taken in a fiscal year divided by 30. Data are provided by campus, residency, and level. Also available as an excel or pdf file. Or view the full page version (mobile friendly). *Students at the Anschutz Medical Campus typically take more than 30 credit hours per year, therefore the CCHE formula overstates student FTE at that campus.